The biggest reason why I dislike fitness classes is the schedule. It’s usually too difficult for me to get to the classes in time. It tends to add extra stress and anxiety in my life that I just don’t need. 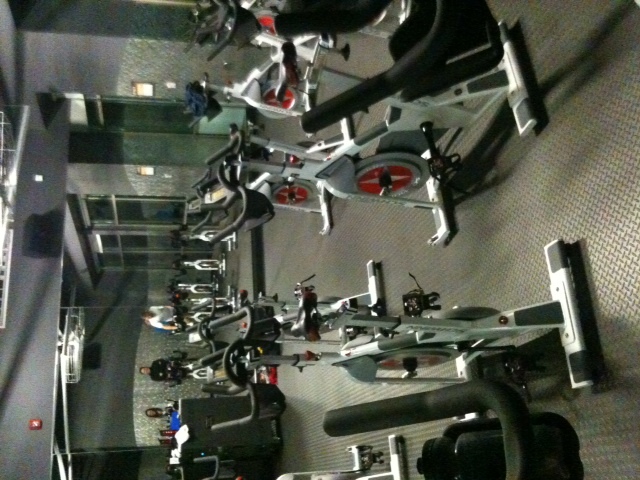 On Thursday I planned on going to another Spin Class. I’d tried to do it since the first time I went and the schedule just never worked for me. I was getting off work Thursday with enough time to get to the gym for the class–if there weren’t riots in the street downtown. I had 1 hour to take a bus out of downtown, get to my car and drive across town to the gym to make it to Spin. Normally that would be enough time. 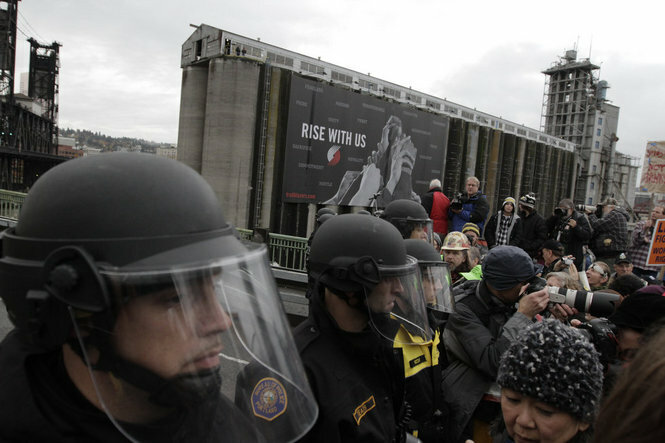 But it was kind of like a war zone in downtown Portland yesterday. Streets were being diverted by motorcycle cops, news crews were everywhere, there were tons of people marching and the groups were splintering off. The MAX and bus service was massively delayed and they weren’t allowing people into downtown. I ended up bus-hopping and finally walked to just get out of downtown. I had doubts that I would ever make the class. I finally got to the my car after over 30 minutes (usually it takes 15). 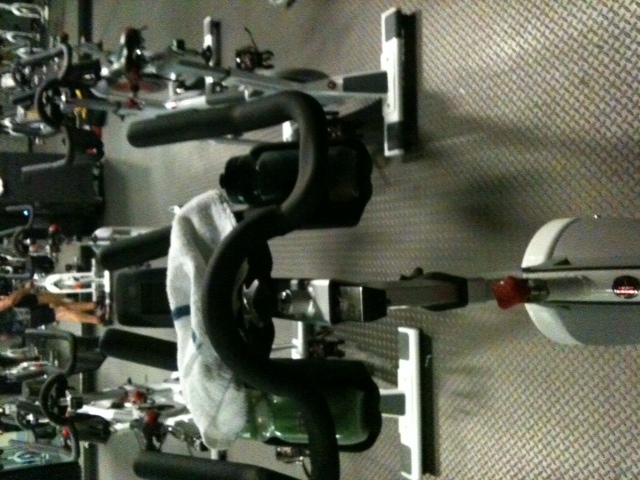 The traffic was pretty light on the eastside so I made it to the gym with 5 minutes to change! The routine was different this time. I liked it! It was a routine of hill climbs that was a bit different than the last routine with hill intervals. This time we spent about 8 seconds in the saddle on the climb, then standing for 8 seconds, then back in the saddle and so on. Just when you got comfortable in one position you were hopping up and sitting down again. It was a sweat-inducing, intense workout. I was so glad I made it to the class! My thighs were burning from the hills (but I’ve yet to be sore the day after a Spin Class–maybe I need to push myself more?). After class I headed home and made a VERY quick dinner I wanted to share here. Rinse the black beans and pour everything into a pot. 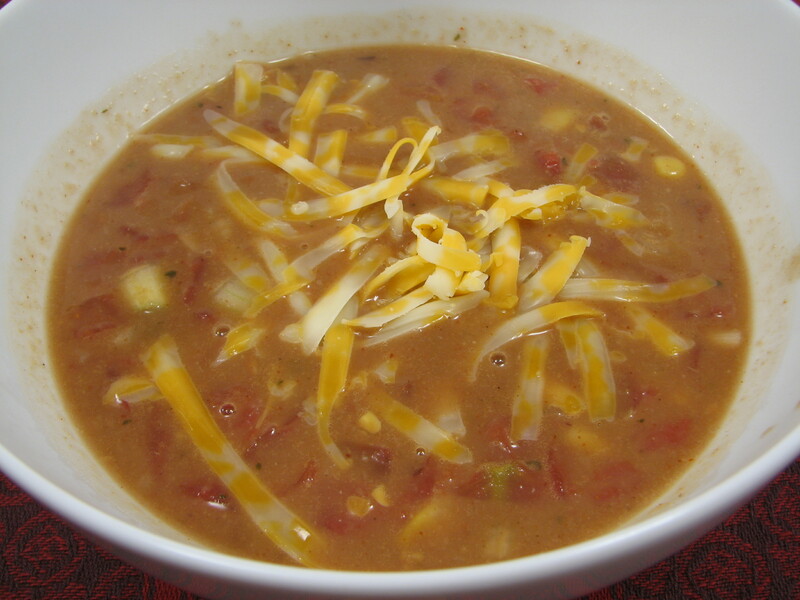 Cook until refried beans are no longer thick and the soup is hot. 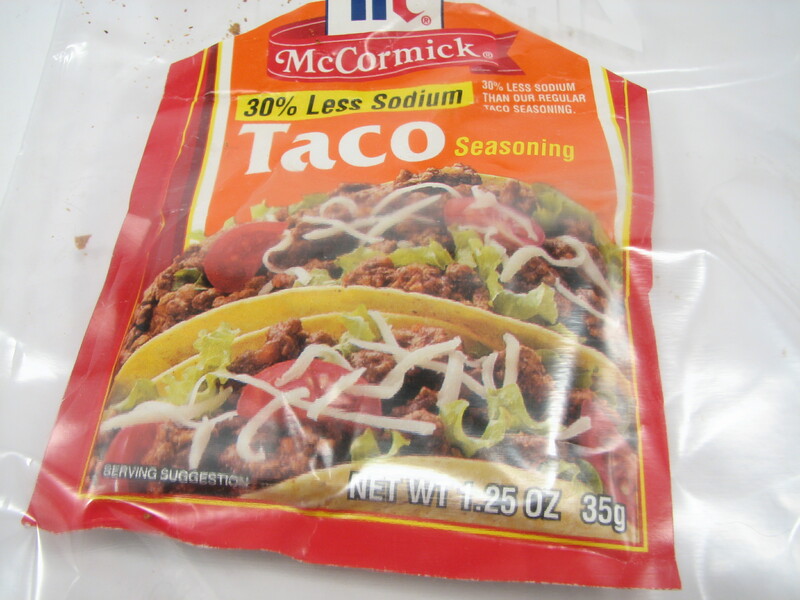 Variations: Add chicken, chopped onion, taco mix, lime juice. Seriously–the fastest dinner I’ve ever made. It was the perfect dinner for after the gym. I got home and Michael was on the bike trainer finishing his workout. 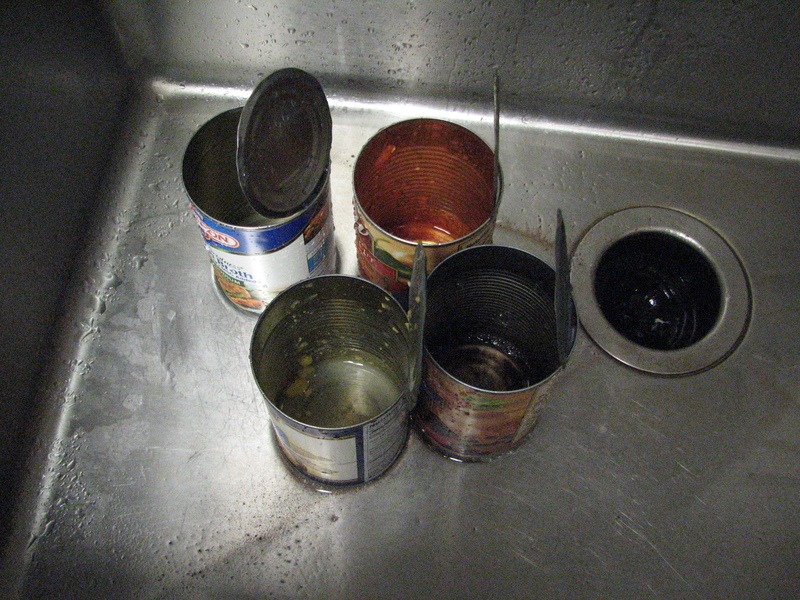 Another reason I liked this recipe: I was able to clean out 4 cans from the pantry! It didn’t take long at all to make this soup. I added some taco seasoning to the pot but not too much since I wasn’t sure how the seasoning would change the flavors. I wanted to turn the soup into a tortilla soup but realized we were out of chips (boo). 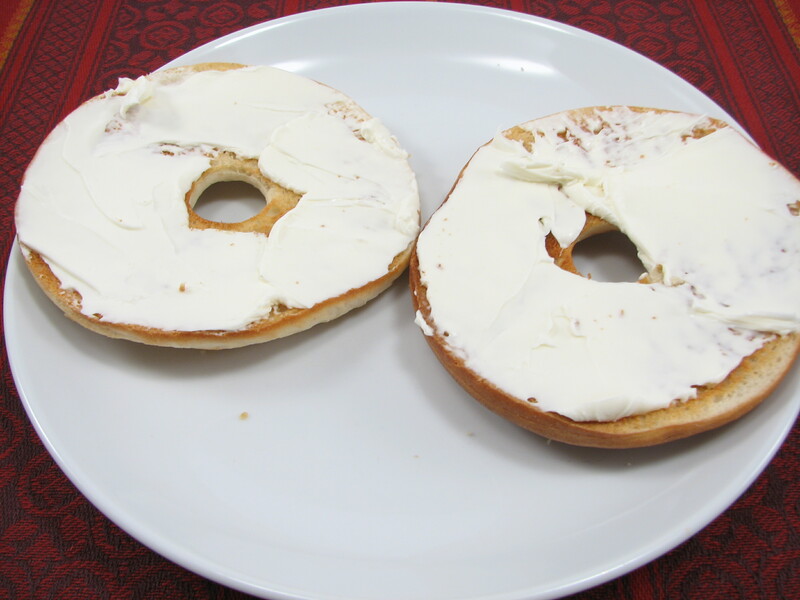 So I toasted us some bagel thins to go with the soup. I topped the soup with some shredded cheese and dinner was served! Michael liked the dinner a lot (always a bonus when the partner comments dinner is great!). I would definitely make this again and I’d add some chicken and crushed up tortilla chips. QUESTION: How do you fit in fitness classes? What’s your favorite “quick” dinner? I get up at 5 am every day to make it to a 5:30 CrossFit class. When I’m struggling to get out of bed, I remind myself that once I’m there, I never regret it, and think about how nice it will be to come home right after work to the couch! Very true! Whenever I’m “not feeling” a workout, I make myself go and I *always* feel better I went! Hi Lisa, sigh, the world really is in a state of dissaray isn’t it? We had big protests here too. LOVE the look of the soup, thanks for sharing the recipe, and LOVE the picture of your kitty in the box in your last post. Our Neva does the same as soon as a box is around, she hops in and claims it as her own. So fun. Have a wonderful Friday! The soup was good and pretty versatile. You can do almost anything with it! Well I’m glad you made it through all the riots! That is just madness! I love fitness classes cause they push me when I might often slack on my own in the gym. But it’s true sometimes the schedule is annoying and doesn’t fit with mine. Hmmmmm favourite fast dinner is salad with chickpeas, green onions, avocado, cheese and tomato! I’m glad I made the class. I needed it! That salad sounds really tasty. It’s been awhile since I’ve had some avocado. Good idea. My whole schedule (both work and social life) is dictated by my group classes. Fortunately, my gym is in a different part of town than the Occupy Oaklanders, though I’m usually on a bike, anyway, so it wouldn’t matter to me one way or another. Honestly I plan my social life around my workout schedule too. Most of the time it works out pretty well. I think I have a good balance. I have never taken a class. They don’t offer classes at my current gym, and when I was at the Y, the schedule never really worked out for me. I pay less for my gym membership because they don’t have classes there and I think I like that! Classes would never inspire me to want to join a gym but it’s a nice “perk” when I find a class I like (like the Spin class). A pool is a must. The classes never coincide with my schedule! Either there’s too much time in between when I get off work and the class, or not enough time to GET to the class! I don’t even know if you’ll read this but I clicked over here from Diane’s site. I was happy to see a fellow Spinner! 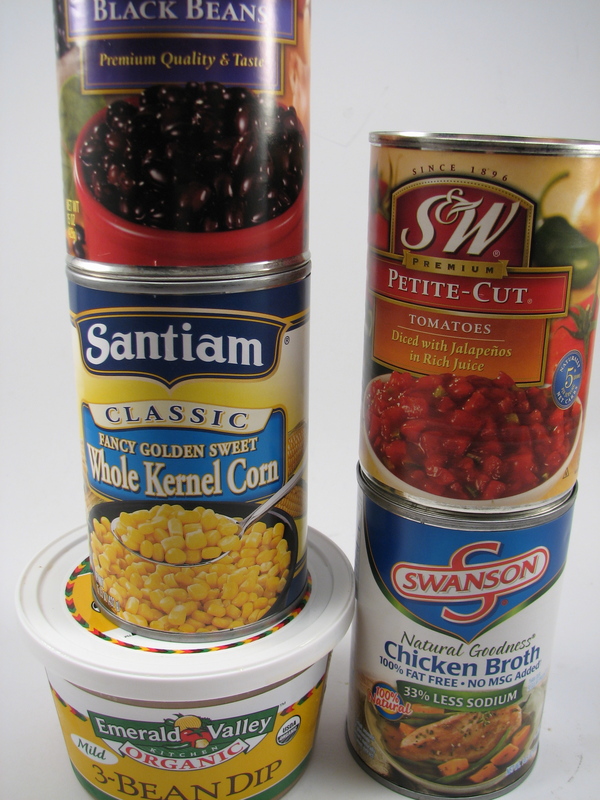 Anyway, do you drain the cans (corn, beans, Rotel) when you make this? I drained the beans and corn but not the tomatoes.